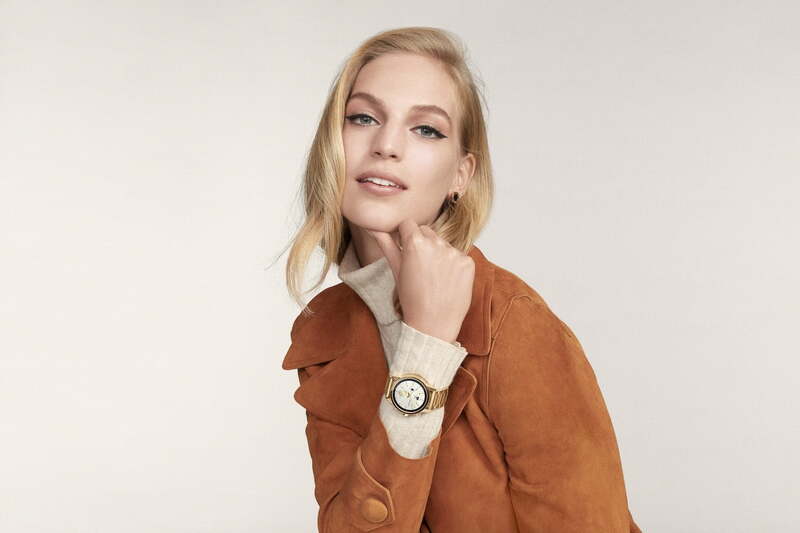 Smartwatches made by designers that understand women’s fashion are becoming more prevalent, with Kate Spade’s Scallop making a particular impression at the beginning of the year. Fashion lifestyle brand Tory Burch is the latest to release a full Wear OS touchscreen smartwatch. Inspired by one of the brand’s best-selling styles, the ToryTrack Gigi looks superb — modern, classy, and free from unpleasant sparkle and glitz that can sometimes (negatively) single out a wearable made for women. Made from stainless steel, the body measures 40mm by 48mm, and we’re waiting for confirmation of the screen size and resolution. It comes in three different finishes: An attractive black stainless steel, and a pair of polished versions in gold or steel. A metal band comes fitted, adding extra style, but the straps can be swapped out, and you can choose from a leather, rubber or grosgrain Tory Burch-designed versions. Naturally, there are different Tory Burch watch faces, with eight in total, along with various different colors for each one. 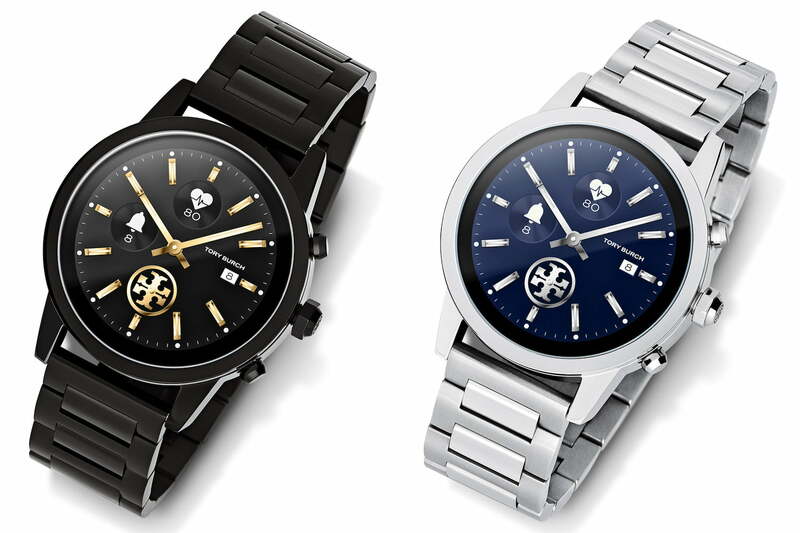 There are the traditional watch faces you see in the images here, along with some more stylised designs, including a Tory Burch logo. It’s not stated with certainty, but it appears the ToryTrack Gigi comes with the latest, updated version of Google’s Wear OS software. This means more comprehensive fitness tracking, which will work well with the watch’s heart rate sensor, GPS, and swim-proof body that’s water resistant to 30 meters. There’s NFC for Google Pay, Google Assistant to help out with daily tasks and reminders, plus music control, a Bluetooth connection for headphones, and it works with both Android and iOS smartphones. Inside is the Qualcomm Snapdragon 2100 processor. If you’re eagerly awaiting the updated Snapdragon 3100 chip, you’ll have to wait until next year when watches with the new processor will arrive. While we don’t know the capacity of the battery inside the ToryTrack Gigi, we’d expect it to last at the most a day or so, based on experience with other watches of its type. The ToryTrack Gigi is available from Tory Burch boutiques beginning October 25. 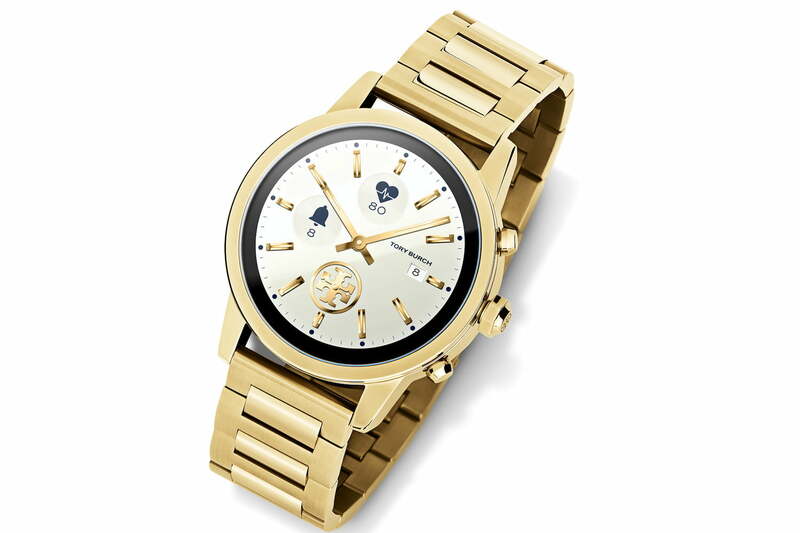 It costs $395, which puts it at the higher end of Wear OS watch prices, and crucially $100 more than the Kate Spade Scallop, and $50 more than the Michael Kors Access Runway with a stainless steel band.